Did you take a moment to stop by Damn It, Monkey!? 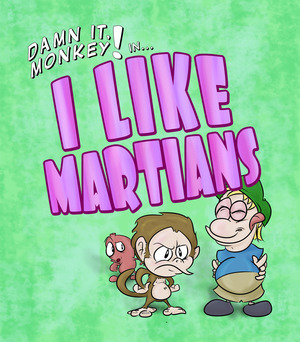 Well, Act 1 of Episode 1, “I Like Martians” is up and ready to be read, like some sort of 7 minute cartoon waiting in comic form. Check it out, hopefully you see the waste of time as a pleasant diversion rather than a sinkhole of ennui.